Aren’t these fellows cute? These stand-up Gingerbread boy cookies are taking off on a winter fast track. 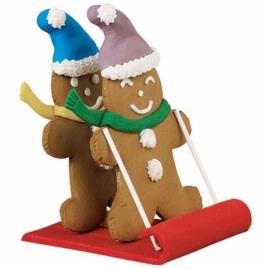 Their red fondant sled makes them even Better Sledders. Visit here for the recipe and pattern.